The Rose Room is a beautiful first floor room with a 10 foot ceiling, windows on two sides and views of the distant hills. This room is furnished with a queen size pencil post bed and a comfy chaise lounge; the perfect place to relax with a good book. The room has en suite bathroom with shower. (Maximum occupancy 2). 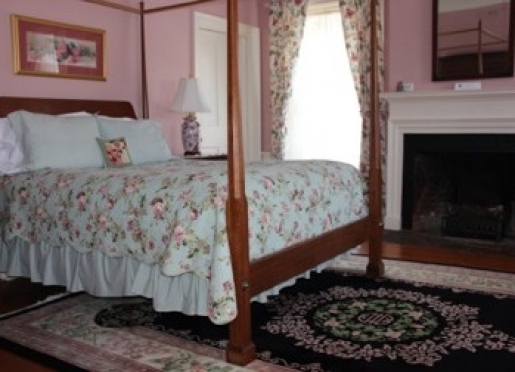 The Bayberry Room is an elegant second floor guest room has a 10 foot ceiling, abundant natural light with views over the the valley and the distant hills.It has a queen size four poster bed and a large en suite bathroom with tub/shower. (Maximum occupancy 2). 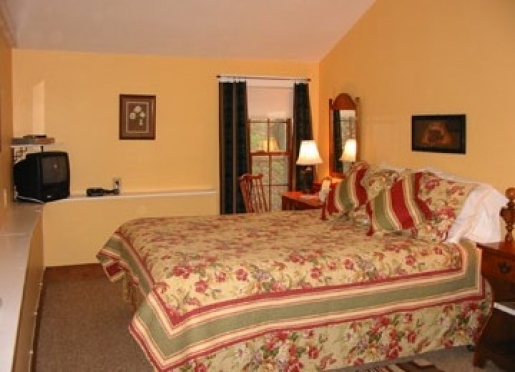 The Sunflower Room is a charming, sunny second floor guest room with a queen size bed as well as a twin bed and a private bathroom with shower. 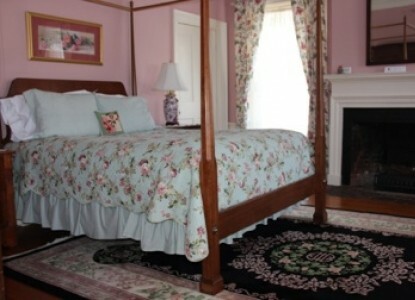 The bathroom for this room is located along the hallway ~ robes are provided for guest use. (Maximum occupancy 3, by prior arrangement only). 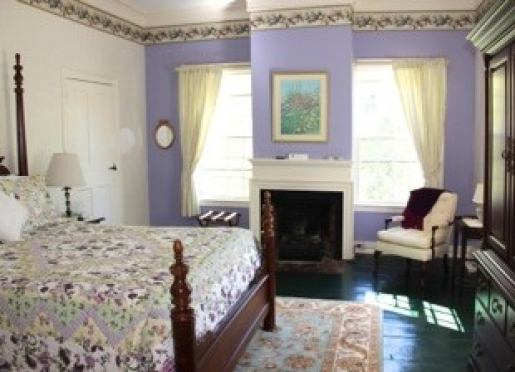 The Lilac Room is a romantic second floor guest room with a lovely view over our flower gardens and meadow. 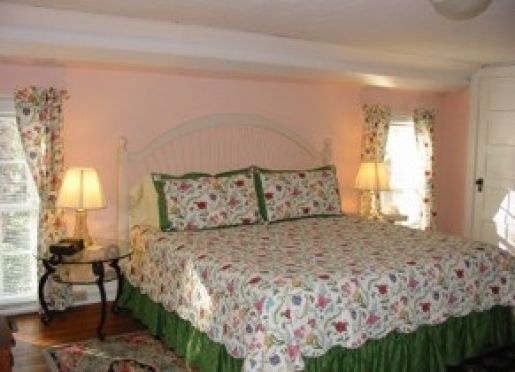 It has a queen size bed and a large private bathroom with tub/shower. 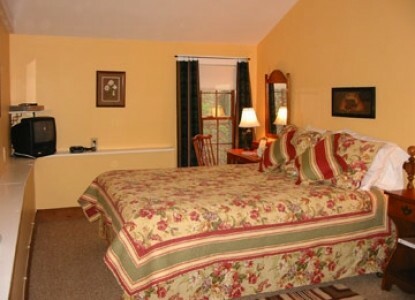 The bathroom for this room is located across the hallway ~ robes are provided for guest use. (Maximum occupancy 2). 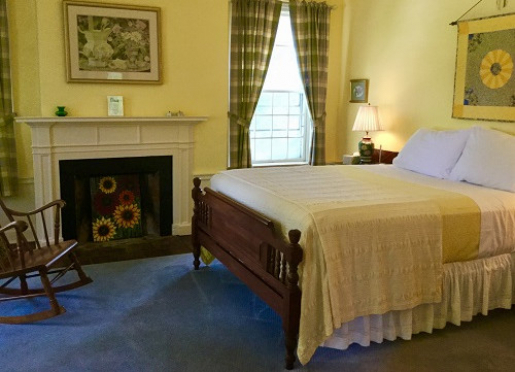 The Spring Room is a spacious, but cozy second floor guest room with a king size bed, as well as a twin size bed and a large en suite bathroom with tub/shower. (Maximum occupancy 3, by prior arrangement only). 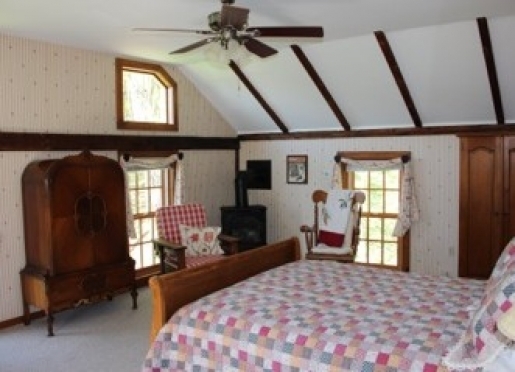 The Autumn Room is a second floor guest room with rustic feel; it has a vaulted ceiling and exposed beams. 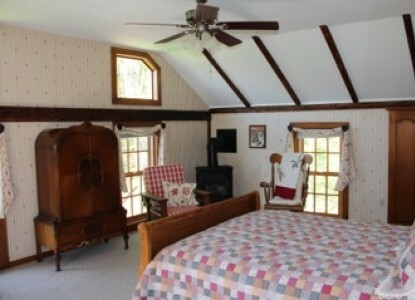 Furnished with a queen size sleigh bed and gas fireplace, it has a large en suite bathroom with a shower. 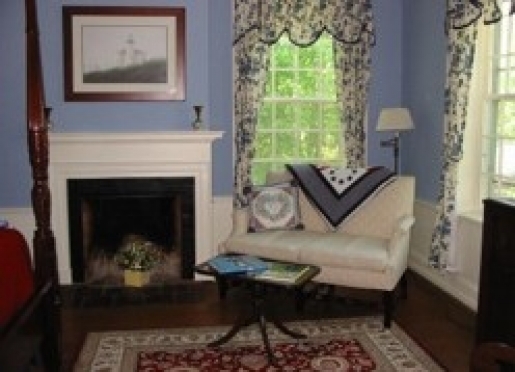 This room has windows on three sides and enjoys views of our flower gardens and meadow. (Maximum occupancy 3, by prior arrangement only). 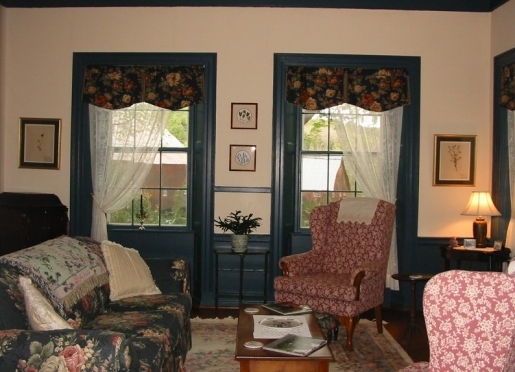 The Cottage consists of two units; the Garden Room and the Blacksmith Suite. 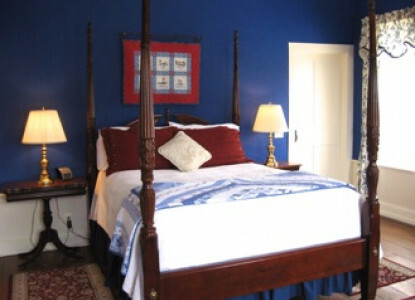 The Garden Room and the Blacksmith Suite may be booked separately or together. The Cottage offers comfortable accommodation for families traveling with younger children. The Cottage is also pet-friendly; please see our Policies page for our policies regarding both children and pets. 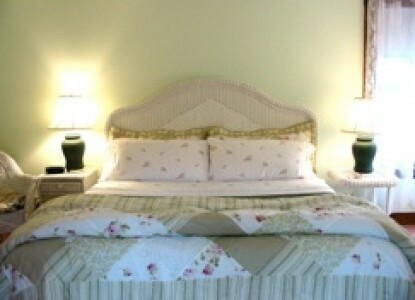 The Garden Room is a large peaceful guest room furnished with wicker and decorated in a soothing, soft green. It has a king size bed, glass doors that open onto a deck. The Garden Room also has a private an en suite bathroom with a shower. (Maximum occupancy 3, by prior arrangement only). The Blacksmith Suite the cozy bedroom has a queen size bed.There is a private bathroom with a shower. 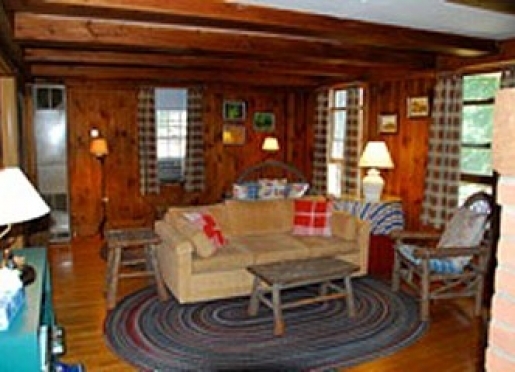 The suite boasts a comfortable living room that has pine panelling, exposed beams, a toasty warm wood stove for those winter evenings. 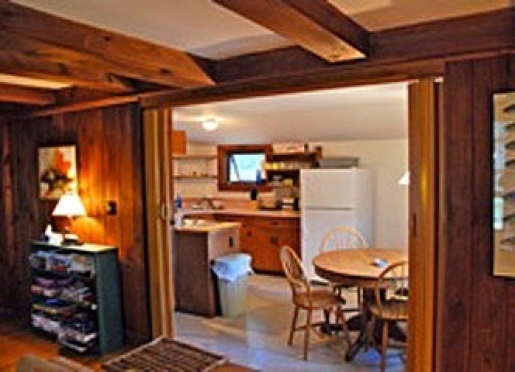 The suite also has a full kitchen is case you would rather stay in and enjoy the fireplace. (Maximum occupancy 4, by prior arrangement only). Minimum stay requirements may apply to weekends during the warmer months as well as other Peak Periods which include, but are not limited to, Foliage Season (last week of September through third week of October), major holidays and scheduled local events. 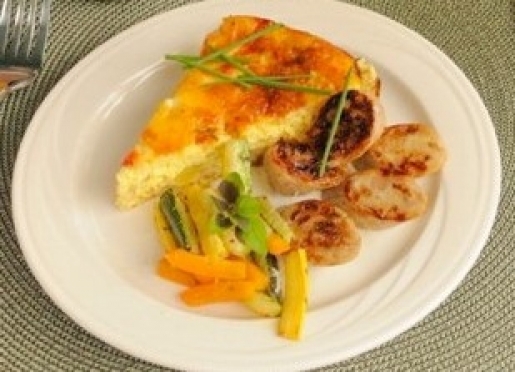 All rates are based on double occupancy and include a full breakfast each morning of your stay. 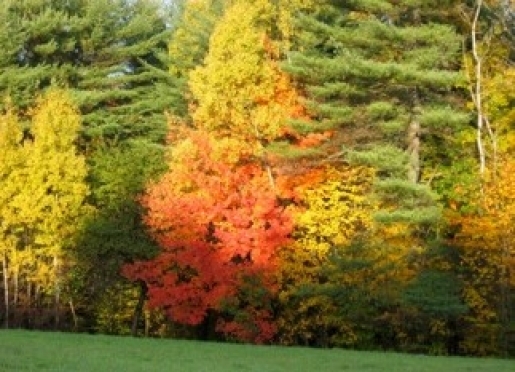 Vermont State tax of 9% is additional to all room rates. There is a charge of $30 for a third person in a room, regardless of age - no discount can be made for single occupancy. Not all rooms can accommodate an additional person, please ask for details. This must be discussed with the innkeepers ahead of time as we have strict overall occupancy restrictions. A deposit is required for all stays, we accept Visa, MasterCard and personal checks. Check-in time is between 4:00 and 7:00 p.m. (other times by appointment only). If you are arriving very late, we will provide you with directions to your room and ask that you be considerate of our other guests who may be asleep. We cannot always honor requests for either an early check-in or a late check-out, particularly during Peak Seasons. Please discuss this with the innkeepers prior to your arrival. You may call to make a reservation between the hours of 10:00 a.m. and 9:00 p.m. (eastern time) - but please, no phone calls after 9:00 p.m. (eastern time). A valid credit card is required in order to secure your reservation. A deposit will be charged. We will email or mail you a confirmation once your deposit has been processed. If you prefer to pay by check we will hold your reservation pending receipt of your deposit. A confirmation will be sent to you at that time. A valid credit card number will still be required in case of any damages. 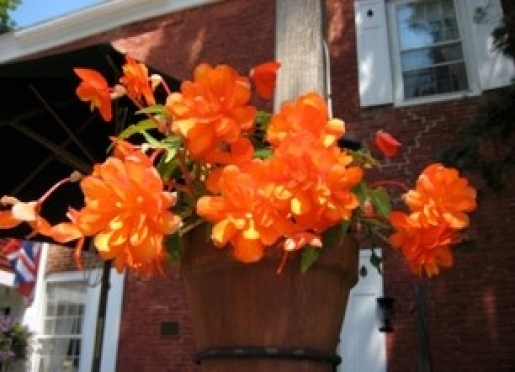 For weekend stays during the summer and other peak seasons a two night stay is required. For bookings of four or more rooms, a two night minimum stay is also required. 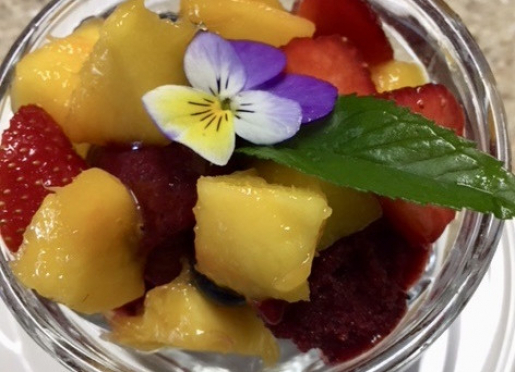 If you wish to make a reservation for four or more nights; or four or more rooms, a 50% deposit will be required and our regular cancellation policies may not apply; please call for specific details. 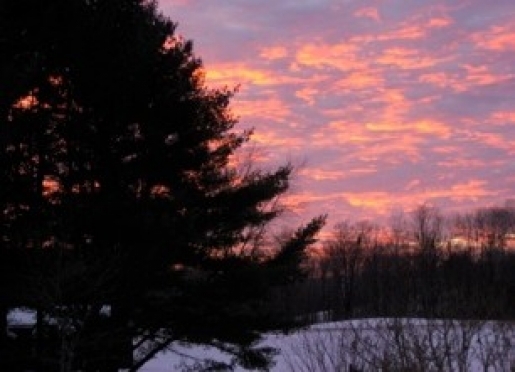 Please note that Vermont State tax of 9% is additional to our room rates. For stays of 1 to 3 nights the first night will be charged as a deposit; for longer stays 50% deposit will be required. Should you need to cancel (or change) your reservation a minimum of 10 days notice is required, 30 days for reservations during Peak Seasons**; there will be a cancellation fee of $25. Your deposit will be refunded (less the cancellation fee) provided the required notice is given. If less than 10 days, 30 days during Peak Seasons**, is given you will be responsible for any nights that we are unable to rebook and your credit card will be charged. All cancellations with less than 24 hours notice (7 days for Peak Seasons) and all no-shows will be responsible for the entire reservation. No adjustment will be made for delayed arrivals or premature departures. We have no control over weather or road conditions, airline cancellations or changes in your personal life. We cannot make any exceptions to these policies; we may be turning away other guests to honor your reservation. To cancel (or change) your reservation you must speak with the innkeeper; email and voice mail messages are not sufficient. 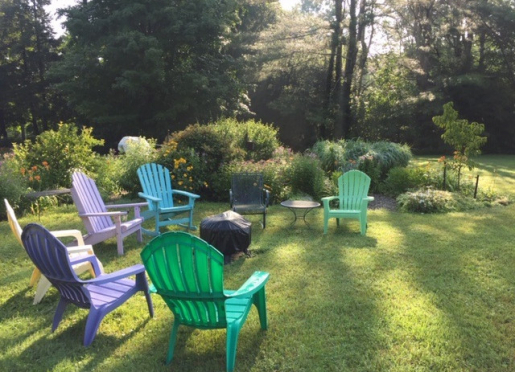 Any reservations rescheduled within our cancellation period will be charged in full; if subsequently cancelled no refund will be made; any further changes are at the innkeepers discretion. 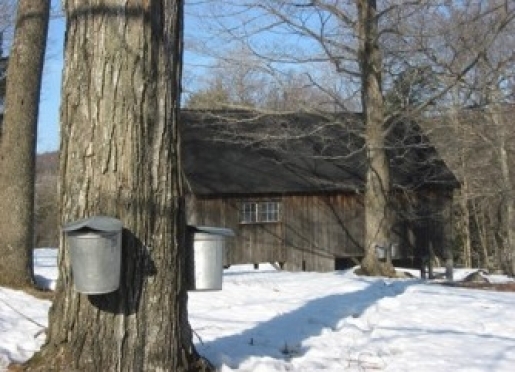 Hickory Ridge House complies with Vermont’s Clean Air Act; smoking is not permitted inside the inn or cottage. Anyone who smokes within either building will be charged an additional night’s stay to air out the room, plus a $150 cleaning fee. Guests may smoke outside but are asked to be considerate of other guests and not to smoke on the deck or near open windows and doors. Candles and other open flames are not permitted in any guest room. The fireplaces in the guest rooms are no longer operational. Our parking area has space to accommodate one car per guest room, however we can arrange for parking for additional vehicles with prior notice. 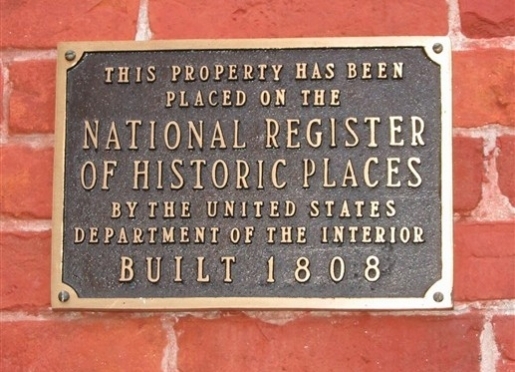 If you are expecting visitors during your stay here, please discuss it with us ahead of time. For safety reasons we need to know who is in the house at any given time, we may also need to arrange for additional parking for your visitors. 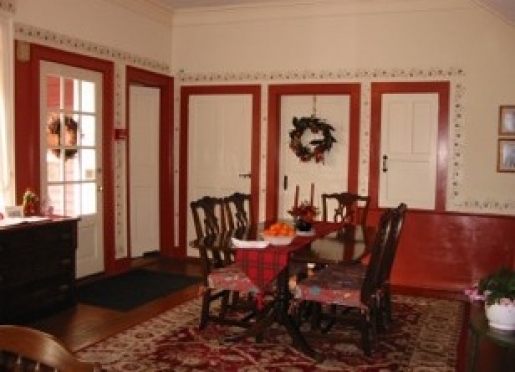 For the comfort of out other guests, we prefer that visitors do not go beyond the first floor. 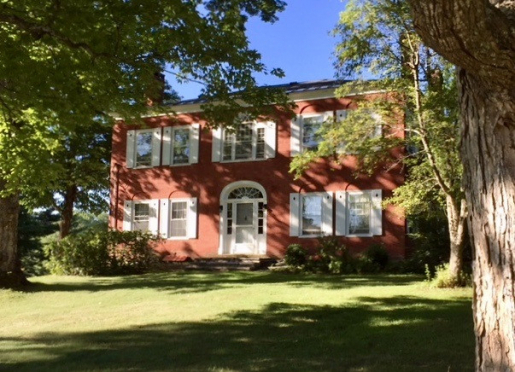 Hickory Ridge House is an historic structure and our home, it has staircases, uneven floors and area rugs. It does not have an elevator or a bell-boy. Large and/or wheeled luggage can cause a great deal of damage; we ask that all luggage be carried, carefully through the inn. We understand that accidents happen from time to time. However, any damage over and above “normal wear and tear” which necessitates repairs, replacement or extensive cleaning of inn property will be the responsibility of the guest(s), and the credit card on file will be charged. 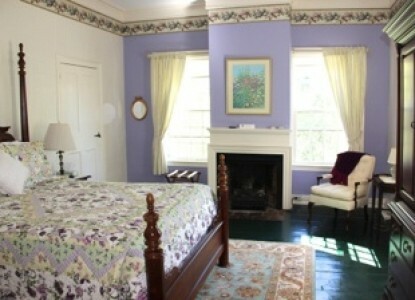 The main house is not suitable for young children; many of our guests are looking for a quiet retreat in the country. However, well-behaved children over the age of ten are welcome. Families with younger children are welcome in our cottage. All children, regardless of age, are counted as guests; we have strict occupancy limits that we must adhere to. We do not provide babysitting services; no minors may be left unsupervised at any time, we cannot be responsible for the safety and welfare of any children or minors. 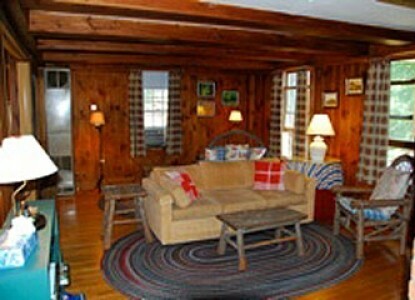 Pets may be accommodated in our cottage by prior arrangement with the innkeeper. This is not intended to be a substitute for a boarding kennel, but for guests who routinely travel with their animal companions. There is an additional $30/stay charge. 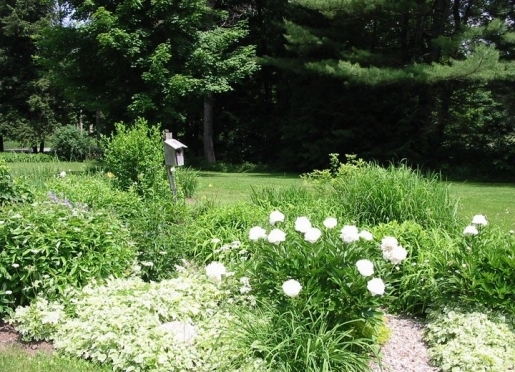 Pets are restricted to the cottage and the grounds - no pets are permitted in the main house or the immediate area of the main house, including the deck, parking area and flower gardens. All pets must be up-to-date on their vaccinations. Pets must be leashed at all times in public areas of the property. Pet owners are responsible for their pet’s behavior and any damage caused by their pet. Pet owners are responsible for picking up after their pets; appropriate bags and receptacles are provided. Pets may not be left unattended in guest rooms while you are away from the inn; we cannot be responsible for the welfare of your pet in your absence. During breakfast pets may stay in the guest room. All pets must be house trained.There will be a clean-up charge of $50 per “accident”. It is assumed that pets travel with their own food, bed, toys, etc., we do not provide such amenities for your animal companions. 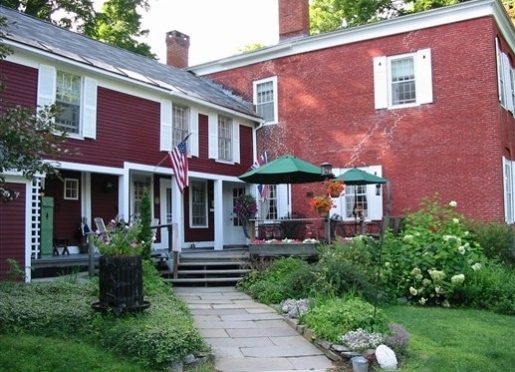 Thank you for making an inquiry about staying at Hickory Ridge House Bed & Breakfast.